Mark your calendars for a full year of fun! The Columbus Country Market is held on the Courthouse Square in downtown Columbus. The market promotes healthy food choices while supporting local farmers, gardeners, cooks, bakers, craftspeople, and other artisans. Enjoy live music, ready-to-eat foods, and more at this monthly event. Trailhead Family Festival is hosted by the Texas Historical Shootist Society (THSS). It includes shooting competitions featuring firearms typical of those used in the Old West. During the four day family-friendly festival, guests will enjoy live action shooting contests, period costumes, and plenty of socializing. Take a step back in time and experience Columbus’ history come alive during the Magnolia Days Festival. Take your picture with the Magnolia Belles, have a blast in the Family Fun Zone, shop til you drop in the Vendor Marketplace, and dance in the streets to free live music. It’s big time fun in small town Texas! 90-on-90 is the longest yard sale in Texas encompassing 90 miles along Highway 90. Free maps for participating farmers’ markets, yard sales, flea markets and sidewalk sales are available at the Columbus Chamber of Commerce a few days ahead of the event. Location: Sealy, Columbus, Glidden, Weimar, Schulenburg, Flatonia, Harwood, Waelder, Luling, Seguin, Geronimo, and McQueeney. Columbus hosted the very first Fourth of July celebration in the State of Texas in 1826 and we continue the tradition with an old-fashioned celebration full of family-friendly fun. Events include the George Fox Memorial Children and Pet Parade, swimming and water slides, food, vendors, and of course lots of amazing FIREWORKS! 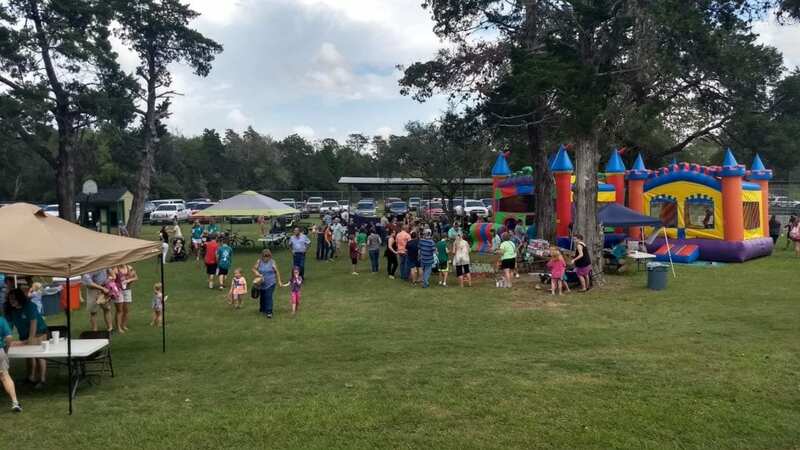 family-friendly carnival and rodeo, BBQ cook-off, antique show, mini-rod tractor and engine show, Fair Queen contest, art and photography display, and needlework, handicrafts, baked goods and floriculture contests. Rodeo events run from Thursday to Saturday and include a ranch rodeo on Thursday and a CRPA rodeo on Friday and Saturday. The fair serves as a reminder of the true values of Columbus’ heritage and to teach young people about self discipline and dedication. St. Anthony School’s annual Halloween Carnival is a Columbus institution. Event includes a costume contest, food, haunted house, live auction, silent auction, country store, carnival games, and the ever popular Punk ‘n Rock Concert by the 7th and 8th graders of SAS. It’s fun for the whole family! The Christmas Season officially kicks off in Columbus on Ladies Night Out. Area merchants keep their doors open late for holiday shoppers, offering wine and food samples, refreshments, prizes, discounts, and door prizes. The Stafford Opera House and Spring Street are also filled with vendors selling handcrafted goods such as jewelry, soaps, candles, clothing, baked goods, etc. Christmas lights and holiday music add to the merriment of the evening. It is one of the most fun evenings of the year! Date: December 5, 2019 from 5 p.m. – 9 p.m.